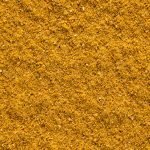 You are here: Home / Spice Substitutes / What’s A Good Matcha Powder Substitute? Matcha powder is such a unique and special product that there is not an ideal substitute for it. That said, matcha is available at different quality levels and it is easier to replace the lower grades. The replacement is easier because lower grade matcha often gets used in dishes with other ingredients. Even though nothing else has the same qualities, it is possible to find workable alternatives in an emergency. Here are our picks for best matcha powder substitutes. Matcha powder consists of ground up green tea leaves, which means that you can make a passable version of it by grinding them up yourself. Just place the leaves in a coffee or spice grinder. If you have neither of those, a blender may work. You can use a fine strainer to sift out the finest particles and use those. Try grinding the larger pieces again. Another way to get ultra fine matcha powder is to use the traditional method of grinding the tea with a stone mortar and pestle. 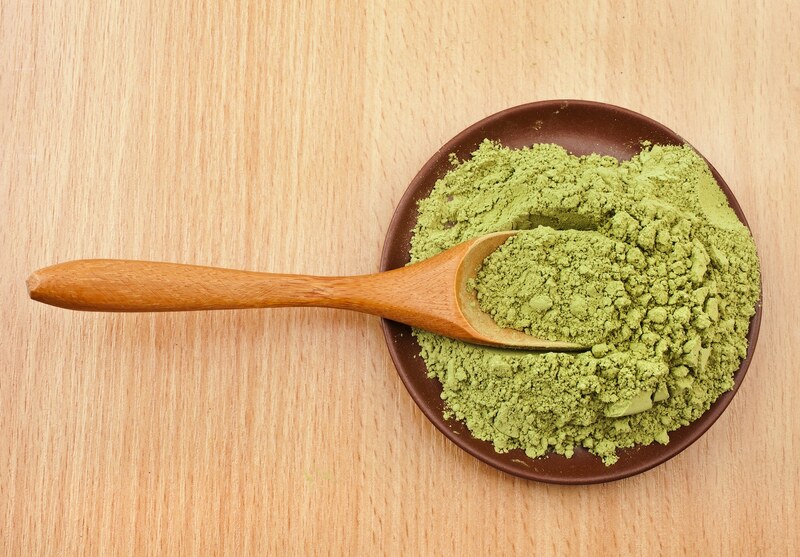 Note that real matcha powder requires specialized equipment and skills to make. Also, the stems and veins get removed from the tea leaves before grinding. What that means is this method may not provide you with the perfect replica; however, it will get you close enough to the right flavor and color. 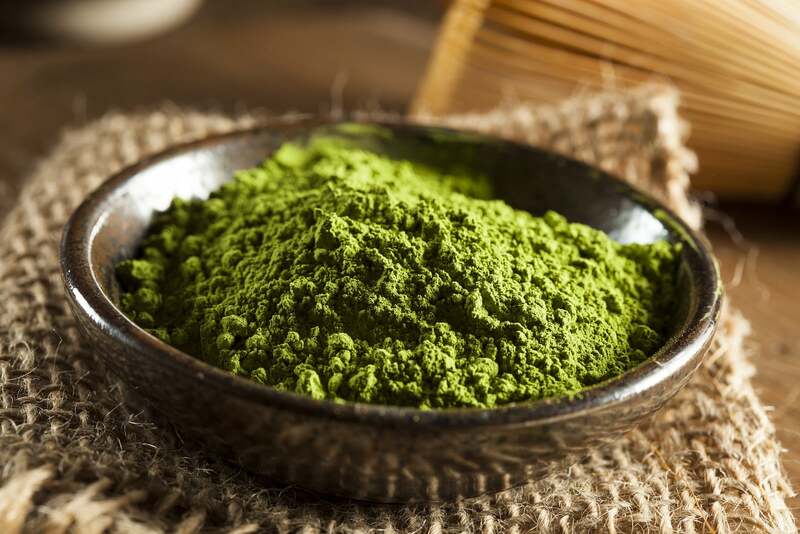 Matcha powder and green tea are both made from the same plant, but matcha has been specially prepared and ground to a powder; green tea is not finely ground. Because they are just different forms of the same plant, they have quite a few similarities. Both are usually used to make beverages that share some of the same flavor notes. Green tea has the benefit of being more readily available than matcha as well as less expensive. When you use green tea in place of matcha, it is a good idea to be mindful of a few differences. For starters, green tea has less caffeine than tea made with matcha powder. If you are using it to provide an energy boost or to help you stay awake, take this into account. You will need to drink twice as much green tea to get the same effects. 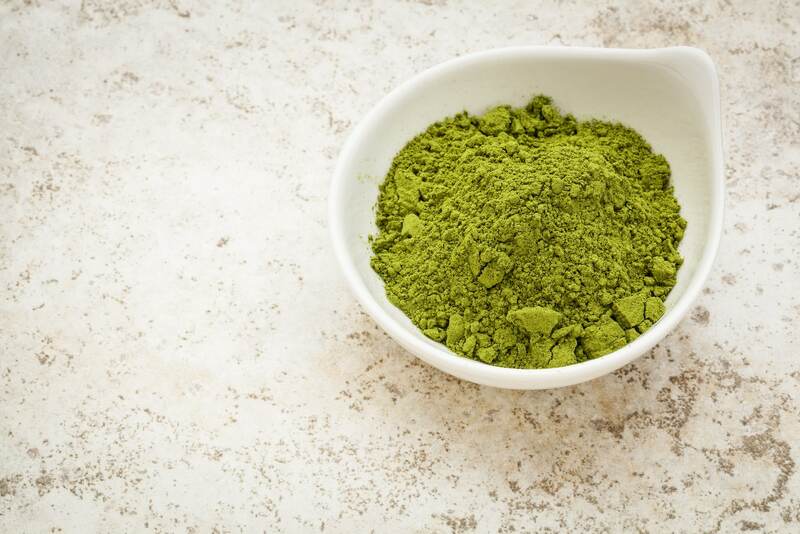 Caffeine is not the only thing that green tea is lacking in comparison to matcha powder — you will get only about a quarter of the nutrients as you would from an equivalent amount of matcha. You will have to drink four times as much to get the same health benefits. Another important difference is flavor since green tea is more bitter and astringent when compared to the sweeter matcha powder. Note also that green tea is not a good matcha substitute when it comes to baking or confectionery applications. Instant matcha is a powder that looks like matcha powder, but it has a dramatically different makeup. Instant matcha is made from concentrated matcha tea that has been dried and powdered. Unlike the other alternatives, it has the benefit of being made from actual matcha tea. Other positives include the fact that instant matcha powder dissolves instantly when mixed with water, unlike real matcha powder. Matcha powder does not dissolve. Cacao is from a completely different plant but one that has many of the same antioxidant properties as the tea plant. In addition, you can use it to make a hot beverage that will provide many of the same energy-boosting benefits as tea made with matcha powder.